We present you with this amazing new extension with wallpapers of the Harley Quinn. HQ Wallpapers and Backgrounds for your unique and colorful browsing experience. Find out about facts on Harley Quinn with all these amazing wallpapers while browsing! Harley Quinn (Dr. Harleen Frances Quinzel) is a fictional supervillain appearing in American comic books published by DC Comics. The character was created by Paul Dini and Bruce Timm, and first appeared in Batman: The Animated Series in September 1992.The character was originally voiced by Arleen Sorkin in the DC animated universe. Unlike most well-known characters in pop culture, Harley Quinn didn’t originate from the pages of a comic book during the Golden Age of Comics. Instead – blazing a new trail as her character so often does – she originated from a scene in Batman: The Animated Series. From there, starting off as a humble cartoon sidekick to the Joker in a September 1992 episode, Harley Quinn made history and jumped into the comic books and into history as one of every fanboy and fangirl’s favorite supervillains. We have added cool features to this Cool Harley Quinn Wallpaper HD Chrome New Tab Theme extension which will enrich your browsing experience and fill your day even more! 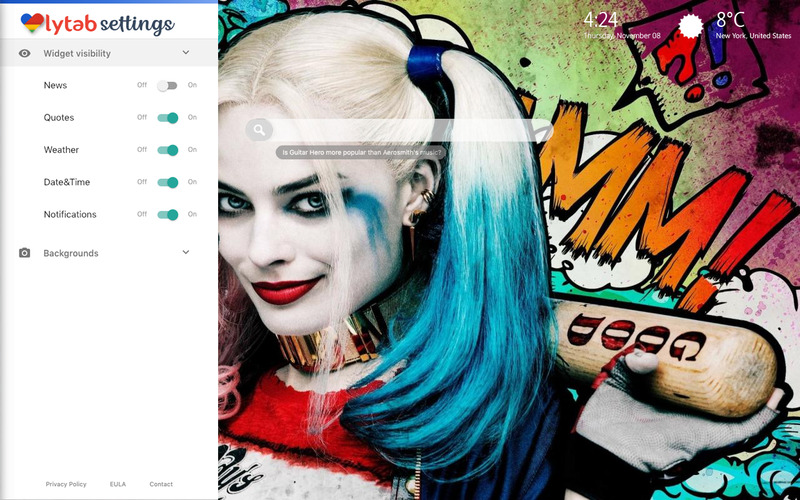 Cool Harley Quinn Wallpaper HD Chrome New Tab Theme provides you with a local time option wherever you are. Harley Quinn Wallpaper HD Chrome New Tab Theme is accurate, so your weather will match with your current destination. 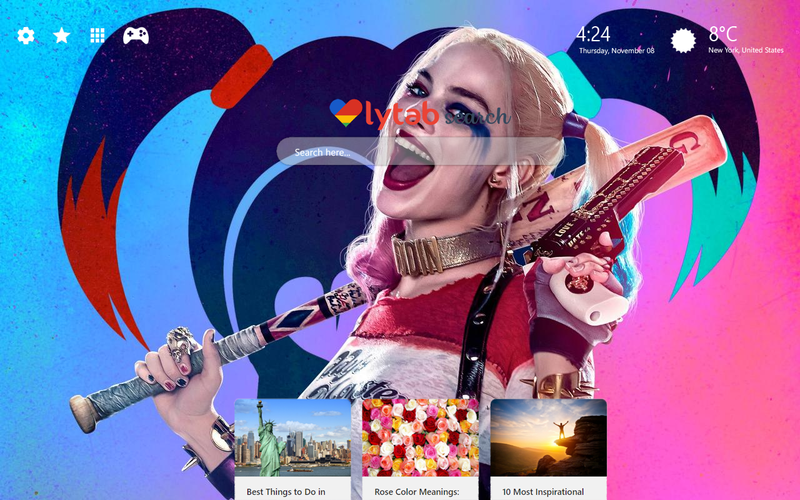 We present you the option to bookmark your favorite websites, stores or whatever with the bookmark option provided by Cool Harley Quinn Wallpaper HD Chrome New Tab Theme extension. You can also quickly access to recently seen websites with one click. By clicking at the heart button, you can choose which wallpapers and backgrounds you can use while browsing. You also have the option to reset everything to default. 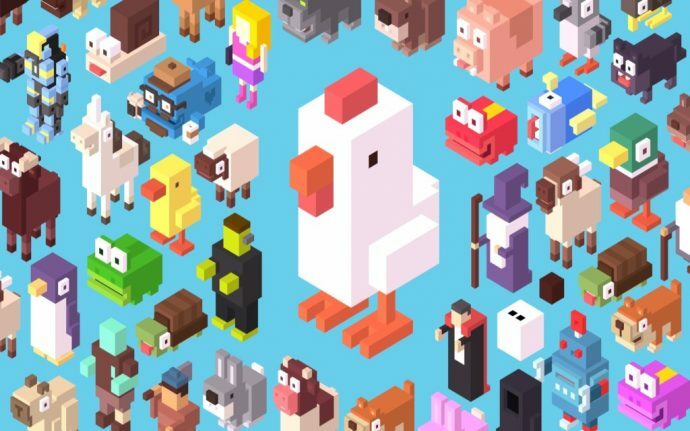 So, pretty simple: shuffle with our randomizer, or select your favorite wallpapers from many available within our extension. We will make sure to update the wallpapers and backgrounds frequently, so you will get fresh new images every time you start your browser! Check out our video for more info. We provide newsfeed for all the topics related to the theme you have installed. By clicking on the arrow, you can show or hide the feed. Pretty cool right? Be inspired every day, because Cool Harley Quinn Wallpaper HD Chrome New Tab Theme extension provides inspiring quotes and amazing facts every time you open a new tab. Choose between Yahoo!, Bing and Google search results, and see which are better for you. Cool Harley Quinn Wallpaper HD Chrome New Tab Theme extension has many, many games you can play for free while you are browsing. This Harley Quinn extension is pretty simple to install and you can always install it again, don’t worry. 4. When you find the extension you want to eliminate, click on the trash can icon to the right of “enable”. 5. In the end, your extension (in this case, Cool Harley Quinn Wallpaper HD Chrome New Tab Theme) is removed from your list in Chrome browser. This app is unofficial. The content in this app is not affiliated with, endorsed, sponsored, or specifically approved by any company and is unofficial. All copyright and trademarks are owned by their respective owners. The images in this application are collected from around the web, if we are in breach of copyright, please let us know and it will be removed as soon as possible. 10 Random Facts About Kittens + Funny Cat Wallpapers! 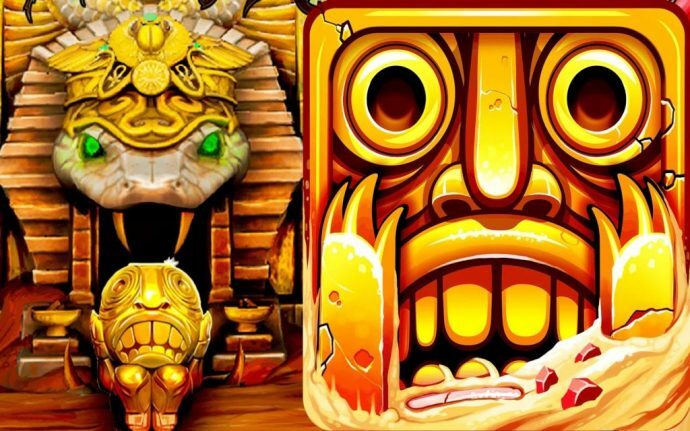 Best Dota 2 Chrome Themes – Dota Fans, You Will Love This One! Mortal Engines Wallpaper Theme – Peter Jackson Presents the New Epic Adventure! Fortnite Season 7 HD Wallpapers + New Chrome Themes Available Now!